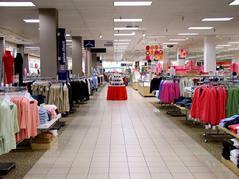 AZTEC ELECTRIC is licensed and insured to perform commercial installations. Our Construction Department has successfully completed thousands of projects including schools, hospitals, office spaces, restaurants and retail stores. See list below of some of our most recent projects completed. Our Service Department is available to help you with any needs from dimming system programming to fire alarm trouble. Contact us to help you with any electrical project or repair. Preventative maintenance and fire alarm testing available. Fire Alarm monitoring services available. Call or email for details. Retail Projects Completed: Ross, H&M, Sephora, North Face, For Eyes Opitical, Public Storage, Lids, Gymboree, Sams Club, Levis, Polo, Palm Beach Tan, Regis, Juicy Couture, LuLuLemon, Dollar Tree, Tommy Bahama, Sony, Radio Shack, Downtown Locker Room, Pottery Barn, LVL 10, Hollister, Pep Boys, 84 Lumber, Anne Klein, Coach, Manhattan Diamonds, Illuminations and many more. Construction Projects Completed: Arlington Hospital, Bowie Medical Center, Chesapeake Surgical Center, Walter Reed Medical Center, Deepwood Vet Clinic, Stonewall Jackson High School, Indian Head Elementary School, Park View Elementary School, Good Shepherd Center, Westwood Baptist Church, Red Lobster, Burger King, Churchs Chicken, Haagen Dazs, Omaha Steaks, Saxbys Coffee and many more.